Give, Get or Get Off? What does that mean? In the United States, fundraisers and nonprofit managers are conditioned to believe board members should “give, get or get off”. What does this mean? Give – our board members should give to our nonprofit organisation. Some argue the board is already giving of their time. I would agree. But, time is not enough. Board members need to put their money where their heart is and invest in the nonprofit organisation. As fundraisers, we should expect 100% of our board to give within their means. Get – our board members should help us to raise money. In addition to giving themselves, board members should ask their peers to give to our organisation. Board members should work with CEOs and other paid staff to solicit individuals, foundations, and corporations. Get Off – if our board members do not perform in terms of steps one and two, those under performers should leave our board. Board must do steps one and two. Nonprofit leadership should set KPIs for board members in the same we would set for paid staff. Setting clear expectations when one steps on the board makes it easier to manage those expectations. 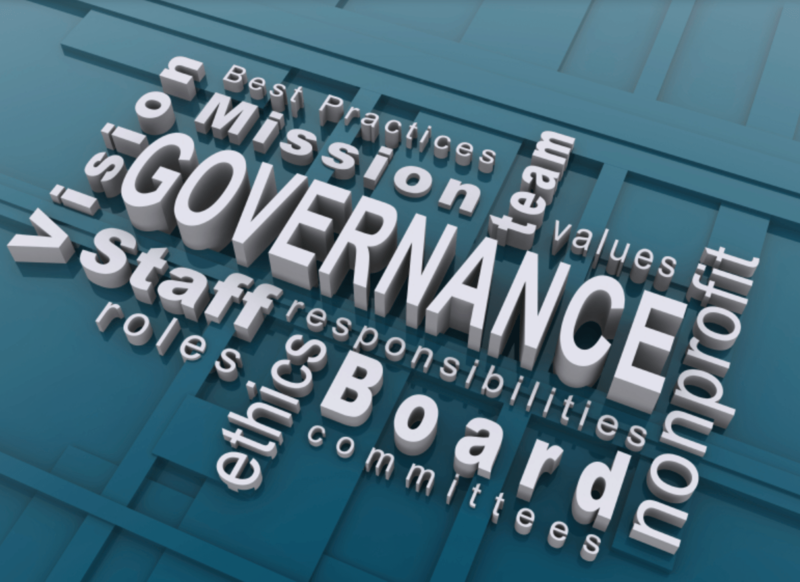 Nonprofit boards are critical to our success. The American example of give AND get or get off may be a crass and candid way to ensure you get the performance you require. Nonetheless, the model is one we should follow worldwide. I am not sure there are exceptions to this rule? How do you feel about the model? Many Australians shopped for new health insurance before 1 April when rates for most of us increased. When I received a notification from my insurer of my rate increase, I immediately called iSelect to seek a less expensive plan. I had bought my existing plan via iSelect and decided to start with this consolidator to find an alternative plan. The call was a success. iSelect informed me of a less expensive plan, plus a plan with more coverage. It was a 20-minute call, which saved me ~$40 a month and brought me greater benefits. About three weeks later I received a call from my outgoing insurer asking me why I was “leaving” their plan. When I explained it was due to cost, the caller said “why didn’t you give us a chance to find you a cheaper plan and alternative benefits?” I suggested customer retention was the job of the insurer, not the customer. I also suggested if there were alternate plans, which were cheaper and more beneficial, the insurer should send those alternatives out to the customer rather than simply send a rate increase letter. The caller suggested I had good points and ideas. Rather than give donors (in my case customers) a reason to “shop around” or go to another charity, work hard to retain the donor. Offer donors a menu of choices rather than restrict them to one option. The donor (customer) is likely to not call you to seek alternative ways to stick with you. Show donor appreciation before it is too late. Retaining a donor is less costly than acquiring a new donor. Recognising donor and brand loyalty is critical. Once the donor is gone, it is often very difficult to gain the donor back. Travelling a lot each year, I have come to appreciate airline mileage and hotel frequent guest programs. There is not doubt it is one of the only perks of frequent travel. Yet, I am surprised at the way airlines and hotels treat their members who hit top tier status year after year. Two recent examples for me include Virgin Australia and Hilton Hotels. I am at the top tier for each program. I have hit the top tier for more than 8 years with Virgin Australia and more than 12 years with Hilton Hotels. While not the most of any traveller, it is a lot of travel by most standards. I’ve been part of the Virgin Australia Velocity program for 8 years and this is my 20th anniversary with the Hilton Honors program. 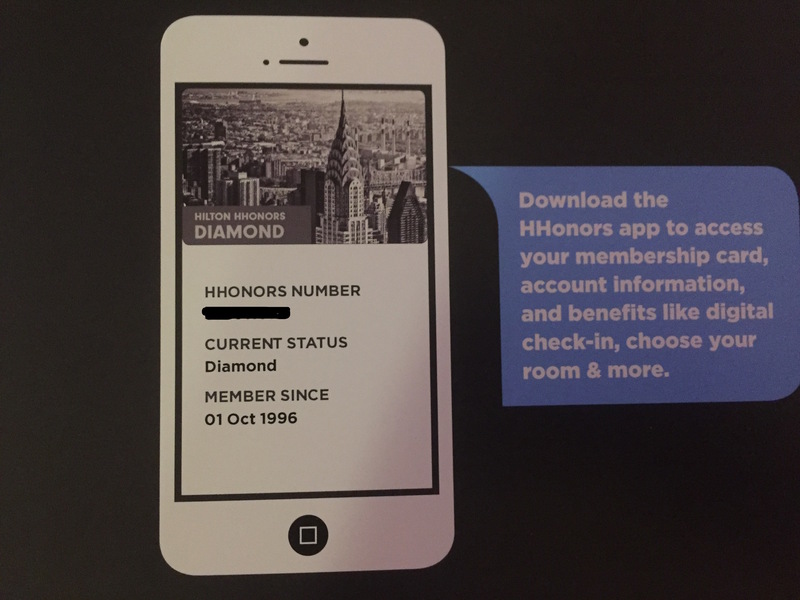 When I hit the tier status in 2016, I was notified by each with a simple membership card contained in a postcard-style leaflet. Yet, when I obtained the top tier status the first time with each I was sent a packet which would fill the smallest of letterboxes. The original packs included a welcome letter, a membership card, luggage tags, and a handful of partnership offers. The benefits and gifts came to a crashing halt in years two and beyond for at least one of a programs and dwindled massively for the other. I question why this is so and why these travel-related companies do not take better care of their most loyal customers? I hope nonprofit organisations would not treat their loyal donors in the same way. Nonprofit organisations should and ought to recognise first time top-tier donors with fanfare and should continue to do so when those loyal donors hit the top tier each year thereafter. Consecutive year top tier donors (or travellers in my case) bring far more lifetime value to the charity (or airline/hotel company) than one time or sporadic givers. 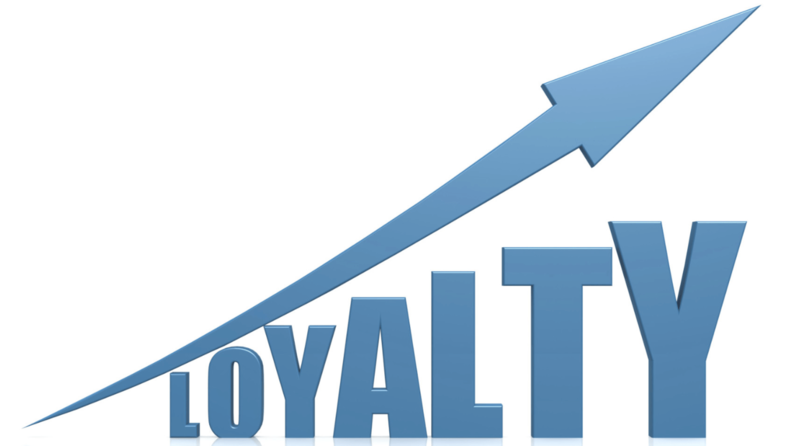 If people do not get what they are looking for or feel valued for their loyalty, they will go elsewhere. It’s all about the stewardship. It’s fundraising 101. If you do not ask, you do not receive. Late last week, I received a newsletter from a Sydney-based hospital. I shouted when I opened it because the hospital foundation failed to make an ask for a donation in the piece. In fact, there was no response device, no letter, and simply a newsletter with a self-addressed response envelope. Why didn’t this hospital take the time to ask me (and the others who received the newsletter) for a donation? Further, why would the charity include a self-addressed envelope if they were not going to take the time to include a response device to drive donations to your charity? If it is worth producing the communications piece, it is worth taking the time to ask people for a donation. Wrapping a letter around the newsletter offers you a chance to recognise the donor’s past support and to draw their attention to key articles in the newsletter. Including a response device, pre-populated with the donor’s details, will short cut the guessing game and drive contributions to your nonprofit organisation. It will not cost any more postage to mail a response device with a newsletter and a return envelope. Sending a self-addressed envelope, without a response device, will likely yield far less returns than a charity would receive if a response device was included in the package. Don’t believe the statements in this blog post? If your organisation currently sends newsletters with no letter and no response device, create a three part test. See for yourself which of the three packs wins. You might be pleased you took the time to make an ask for a donation. 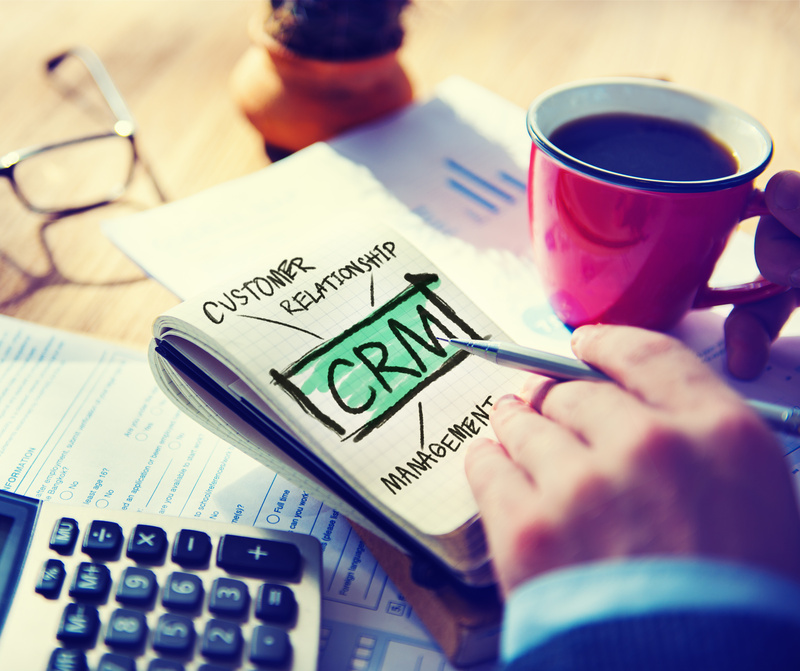 CRM – an expense or an investment? 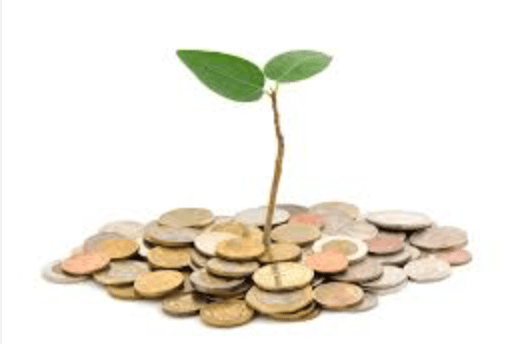 Non profit organisations struggle financially. It seems there is never enough cash on hand to build the necessary infrastructure and to be an innovative organisation. Maybe there is and maybe we need to think about things a little differently? Rather than look at things, like your customer relationship management (CRM) system, as a major expense or a transaction, why not look at it as an investment no different than hiring a new major gift officer or a new direct marketing supplier. Those types of investments have income benefits and your CRM has income benefits tied to it. Any improvement in business efficiencies improves the income line. Think through and document all areas where your CRM will improve business processes, which are currently manual or redundant in nature. The saving of time allows your staff to spend that time on other income generating measures. Study and document all areas where time is wasted across your organisation due to process efficiencies, multiple spreadsheets and other factors. Communicating with stakeholders in a more effective means will build on those relationships. Doing the opposite causes missed opportunity and income loss for your organisation. Analyse and document the various ways comms with stakeholders will improve and project potential income growth. Your CRM is likely the single largest expense investment your charity will make. The next time someone turns the acquisition of something like a CRM into simply an expense, change their mind around by putting together a business case to show the cost savings and income generation of such tools. It’s a different conversation. It seems most non profit organisations conduct events as part of their fundraising plan. Most organisations conduct the same types of events. Frankly, it’s a bit difficult to come up with a “unique” event and not a “copy” of other non profit organisations. Boston Children’s Hospital sent me a unique fundraising and education event proposition just last week. It caught my attention. Why? Boston Children’s Hospital suggested many of us spend too much time using our smart devices. The Email asked me to take a pledge to spend a day off technology and to spend this time with my loved ones. 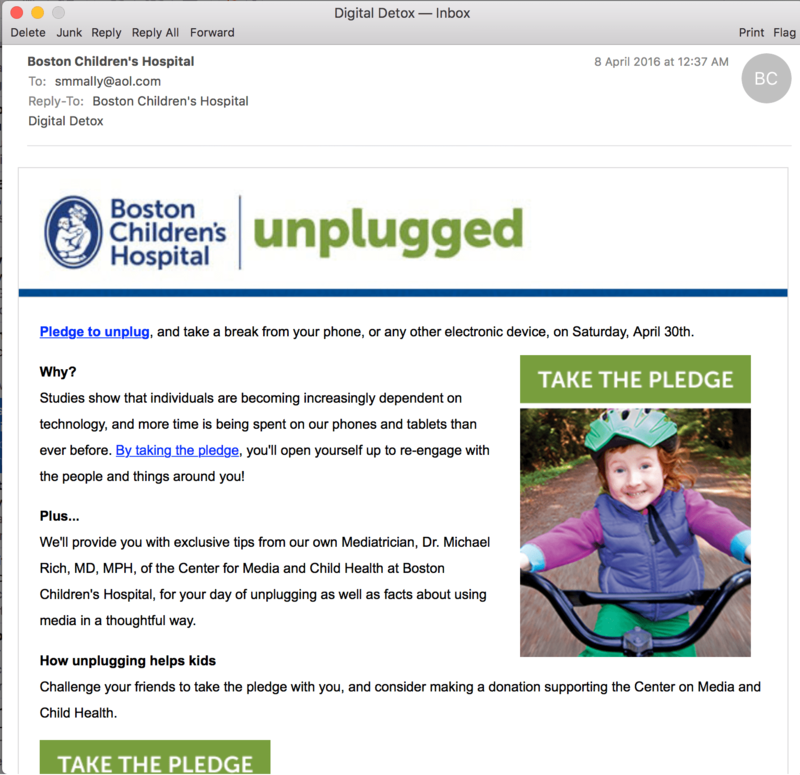 It seems Boston Children’s Hospital have a “mediatrician” who will provide me with tips to cut back on technology use once I sign the pledge. And, there is a fundraising angle to the pledge! The program helps me, helps my relationships and helps Boston Children’s Hospital! How do nonprofits show appreciation for volunteers? Have you ever volunteered for an organisation and you were treated like you had received 50 years hard labour? Or, have you volunteered for an organisation which seems to express appreciation to you repeatedly? The fact is charitable organisations can’t thank volunteers enough. Some do it really well and others quite poorly or not at all. The fact is volunteers are offering a gift of high value – their time. A volunteer’s time is worth the same or more than a major gift. Nonprofit organisations should create a volunteer appreciation matrix, which identifies the appreciation touchpoints in the same way an organisation would have a stewardship matrix for high-level donors. Send a birthday card to you on your special day. Send Christmas or other year-end cards. Send thank you letters or other acknowledgements after each volunteer job is completed. Send volunteer surveys to ask about and measure your volunteer experience. Hold volunteer recognition events to recongise volunteers of superior service honouring volunteers of the year and others. List volunteers and thank them in annual reports. Do you have examples where a charity has gone above and beyond to recognise your volunteer service? How about the opposite – where an organisation has not given you the time of day in return for your service? Let me hear from you. A friend of mine passed away a year ago tomorrow. His family and friends have been dreading this one-year milestone. I can only imagine what his parents and sister are facing. Not everyone remembers the exact date a relative, friend, colleague, or neighbour passed away. At the time of death, people send cards, flowers, gifts to charities in memory of, and perform other gestures to emphasise their condolences. But, a year on and people typically forget. I received a helpful Email this week and it triggered an idea of a possible technique we may wish to adopt in the nonprofit sector. 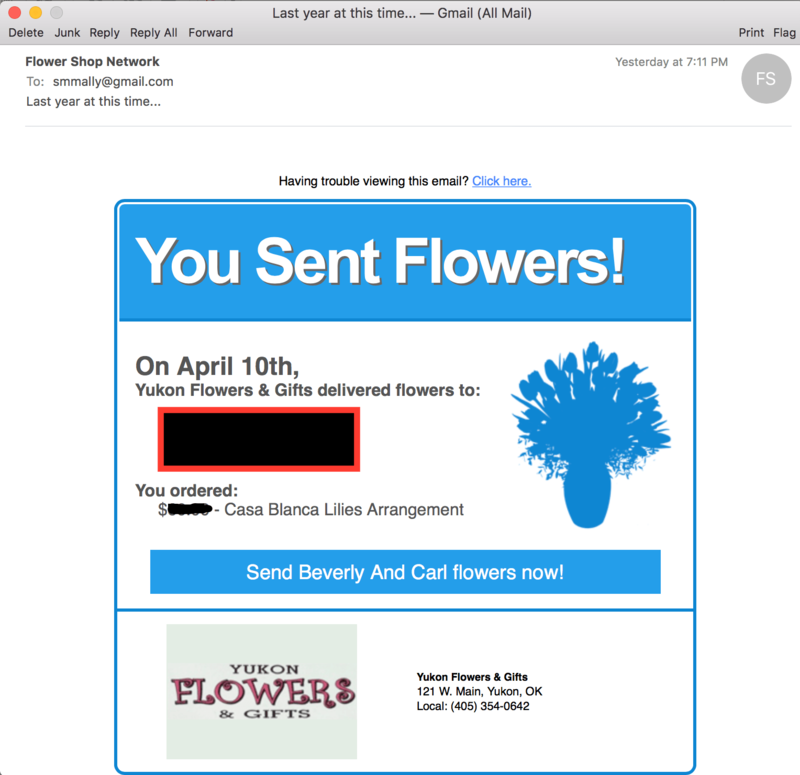 The Email was from a florist I used to send flowers to the parents of my friend a year ago. It reminded me I sent the flowers, the date I sent the flowers, and what arrangement I sent. The Email served as a prompt to send them again. The Email caused me to wonder why charitable organisations do not use this methodology to prompt supporters to give on the anniversary of the death of loved ones, friends and colleagues. Such a reminder would trigger follow up or further gifts on the anniversary of the death. Does your nonprofit organisation send any sort of reminder on the anniversary of a tribute gift? If so, tell us the steps you take and about the success of the program. Mystery shopping is really not something your charitable organisation can ignore or decide to not action. Non-profit organisations must mystery shop. Mystery shopping (or secret shopping) is the act by a nonprofit organisation to measure quality of service, compliance with a procedure, practice, or regulation, and/or to gather specific information about products and services. The secret shoppers’ identify and purpose are generally not known by the nonprofit organisation being evaluated – certainly not to the line staff under evaluation. Mystery shoppers perform specific tasks such as making a donation, registering for community event fundraising, enquiring about leaving a bequest, asking questions, registering complaints, or behaving in a certain way. The shopper then provides detailed reports or feedback about their experiences to nonprofit management. Your organisation has two choices to action mystery shopping – you may choose a do it yourself approach or hire a consultant like FundraisingForce to secret shop your charitable organisation. Choosing to do it yourself will mean you need to identify the shopping areas to be studied and hire independent shoppers who will shop the scenarios identified. Hiring an independent firm further masks the identify of shoppers and also takes the work off of your shoulders. Secret shoppers help you to praise and reinforce good behaviours. They also help you identify issues or gaps and to action plans to resolve the problems. Mystery shopping ought to be a routine evaluation tool used in your overall fundraising program and across your nonprofit organisation. 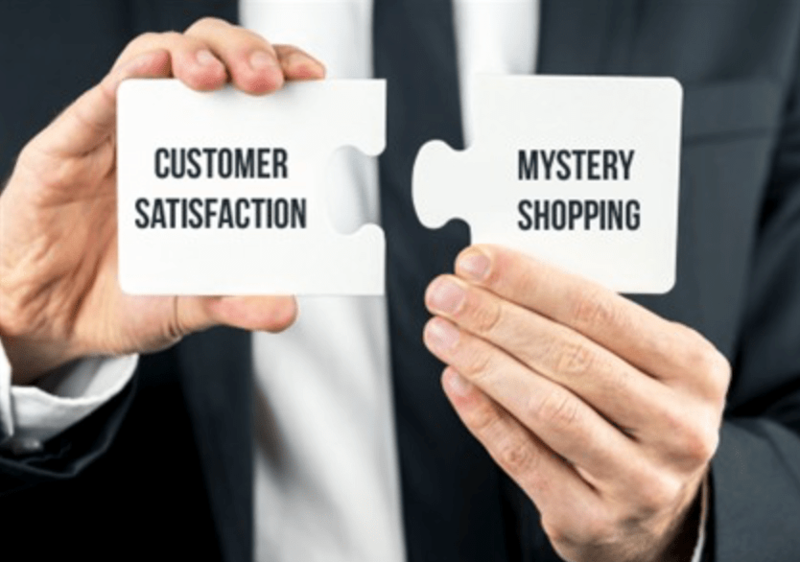 Seeking more information on mystery shopping? Contact us for more details and to start mystery shopping. Last night, I had the absolute pleasure of attending an event sponsored by Velocity, which is Virgin Australia’s frequent flyer program. The event featured the Australian Chamber Orchestra (ACO) and it was held at the ABC Studios. The event was a true partnership between the Virgin Australia and ACO. The event offered a chance for Velocity and Virgin Australia to thank their most frequent flyers. The event offered a showcase for the ACO. The event also showcased the ABC studios. The program book featured donor care lists, which are attractive and also motivate others to give. Not only was the program book attractive, but it, in fact, entices people to get ngaged with their ACO in multiple ways. There are listings of donors who have left a gift in their will and contact details for the person responsible for bequest giving at ACO. There are listings of donors who give outright gifts and the contact details for there person responsible, as well. The “contact us” page offers a variety of ways to reach the ACO, including social media. Organisations often times provide program books and feature donor listings. It is rare we see contact details for donors to act and to make a gift. It seems so basic. It is a gentle way for you to nudge a captive audience to get even more engaged. How do you engage donors and prospective donors via your donor listings? Do you offer a gentle call to action?